We guide you through both the overarching feeling and smallest details of your day. We have a large archive of handpicked, styled photographs we'll look through together, as well as any favorite images you bring to the meeting. We love to hear exactly what you're dreaming of. The moment you walk into our boutique downstairs, you'll be met with a smile and led to our floral consultation space. Our process is fun, clear, and straightforward. You'll get our full attention and always receive quick replies to your emails & phone calls. We craft each of your arrangements, bouquets, and installations with the freshest flowers and our expert technique. We arrange each stem into a spectacular display that captures your wedding day style. At delivery, we make sure each aisle marker and centerpiece is placed just so. 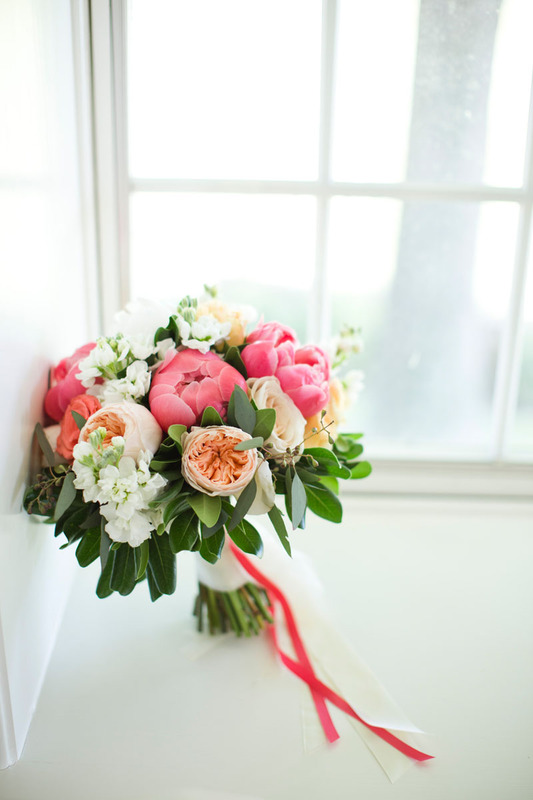 We write a very detailed proposal for you to make sure everything from the color of your floral wrap to the timing of your delivery is spot on. Our proposal pulls together inspiration images and logistical notes so that every arrangement and bouquet is just as you envision.